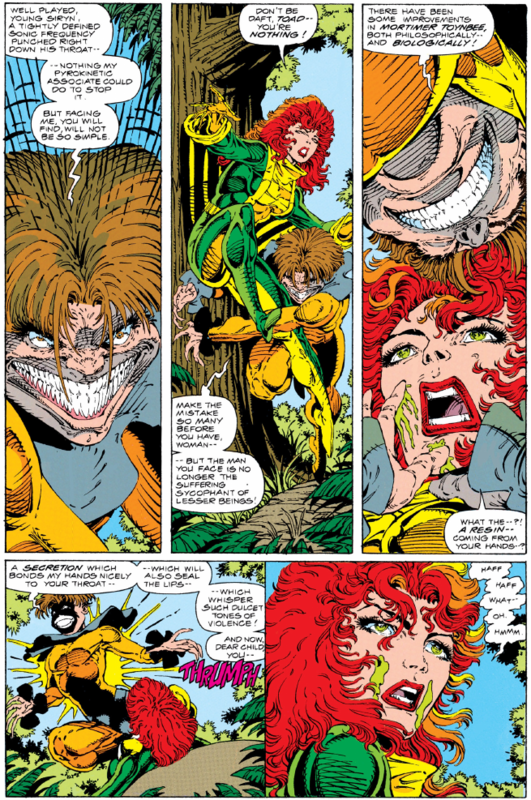 I was looking on Quora a few days ago and saw that apparently during the first few issues of X-Force, the writers decided to give Toad the ability to secrete slime from his hands and he used this on Siryn to try and prevent her from using her powers. I tried looking up the encounter, but was unable to find it. Can anyone help find the encounter? Not the answer you're looking for? Browse other questions tagged marvel comics episode-identification toads-spit x-force or ask your own question. Could Husk escape Toad's slime attack? Why doesn't Toad slime Storm in X1? What Causes Toad's Slime to Harden so Quickly? In what issue did Batman survive the vacuum of space? What “Wolverine and the X-Men” collections concern Toad & Husk's relationship?